The U.S. government, media organizations, and political scholars often characterize the “War on Terror” as a clash of civilizations or a battle against radical Islam. Many academic studies, government reports and news articles have analyzed the role of religion (or the misinterpretation of religious concepts and scripture) in radicalizing Muslims and mobilizing them to wage “Holy War” against their enemies around the globe. Few have discussed how right-wing extremism exploits Christianity and the Bible to radicalize and mobilize its violent adherents toward criminality and terrorism. Much like Al-Qaeda and the Islamic State, violent right-wing extremists — who refer to themselves as “Soldiers of Odin,” “Phineas Priests,” or “Holy Warriors” — are also inspired by religious concepts and scriptural interpretations to lash out and kill in the name of religion. Yet very little is said or written about such a connection. White supremacists, sovereign citizens, militia extremists and violent anti-abortion adherents use religious concepts and scripture to justify threats, criminal activity and violence. This discussion of religious extremism should not be confused with someone being extremely religious. It should also not be misconstrued as an assault on Christianity. Rather, it represents an exploration of the links between violent right-wing extremism and its exploitation of Christianity and other religions to gain a better understanding of how American extremists recruit, radicalize and mobilize their adherents toward violence and terrorism. Researchers have long known that white supremacists, such as adherents of Christian Identity (a racist, antisemitic religious philosophy) and racial Nordic mythology, use religion to justify acts of violence and condone criminal activity. 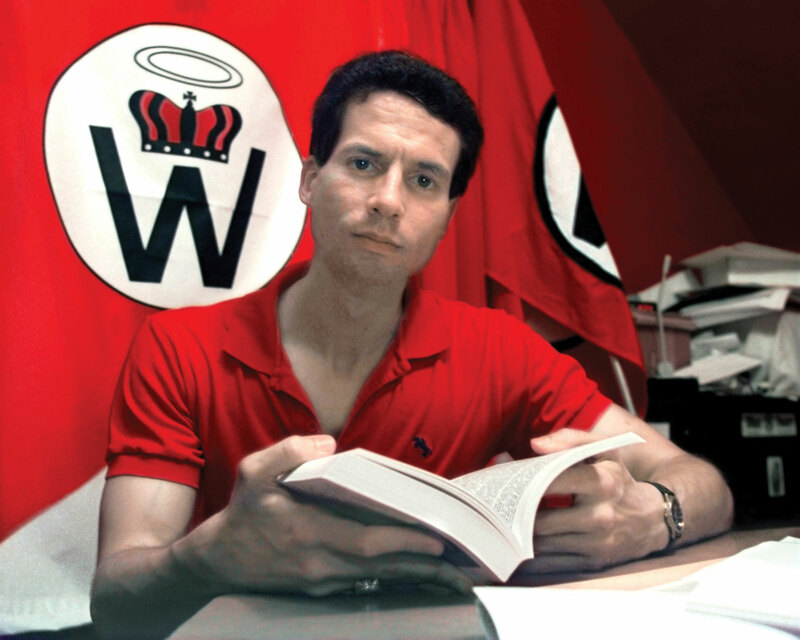 Lesser known are the ways other white supremacy groups, such as the Ku Klux Klan and the Creativity Movement (formerly known as the Church of Creator or World Church of the Creator), incorporate religious teachings, texts, and symbolism into their group ideology and activities to justify violating the law and committing violent acts. The Kloran, a universal KKK handbook, features detailed descriptions of the roles and responsibilities of various KKK positions, ceremonies, and procedures. There are many biblical references in the Kloran, as well as biblical symbolism in the detailed KKK ceremonies. Also, the KKK’s primary symbol (e.g. “Blood Drop Cross” or Mystic Insignia of a Klansman) — a white cross with a red tear drop at the center — symbolizes the atonement and sacrifice of Jesus Christ and those willing to die in his name. A lesser-known white supremacist group is the neo-Nazi Creativity Movement. Ben Klassen is credited with creating this new religion for the white race in Florida in 1973. Klassen authored two primary religious texts for the Creativity Movement; “Nature’s Eternal Religion” and “the White Man’s Bible.” Creativity emphasizes moral conduct and behavior for the white race (e.g. “your race is your religion”) including its “Sixteen Commandments” and the “Five Fundamental Beliefs of Creativity.” Klassen had a vision that every worthy member of the Creativity religion would become an ordained minister in the Church. Two other examples of entirely racist religious movements within white supremacy are the Christian Identity movement and racist Nordic mythology. The Christian Identity movement is comprised of both self-proclaimed followers who operate independently and organized groups that meet regularly or even live within insular communities. In contrast, racist Nordic mythology rarely consists of organized groups or communities, preferring to operate through an autonomous, loose-knit network of adherents who congregate in prison or online. A unique concept within Christian Identity is the “Phineas [sic.] Priesthood.” Phineas Priests believe they have been called to be “God’s Holy Warriors” for the white race. The term Phineas Priest is derived from the biblical story of Phineas, which adherents interpret as justifying the killing of interracial couples. 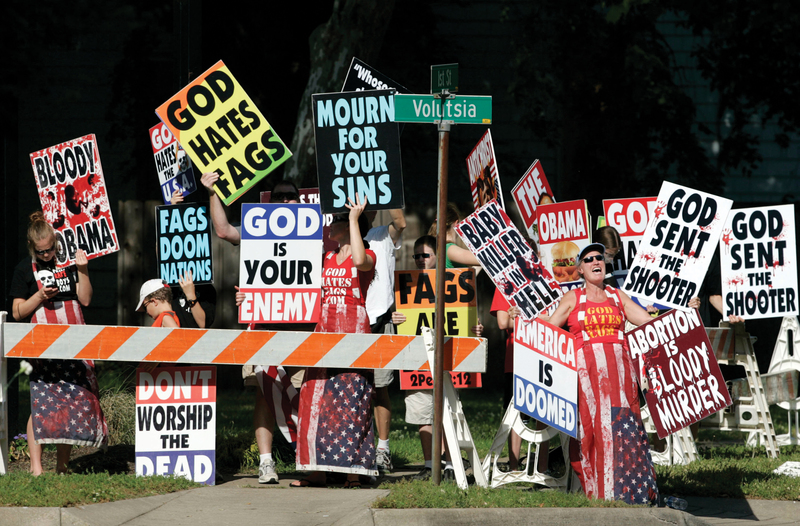 Followers have advocated martyrdom and violence against homosexuals, mixed-race couples, and abortion providers. Matt Hale of the World Church of the Creator received 40 years in prison for plotting to assassinate a federal judge. Racial Nordic mysticism is most commonly embraced by neo-Nazis, racist skinheads and Aryan prison gang members. It is most prolific among younger white supremacists. Odinism and Asatru are the most popular Nordic mythological religions among white supremacists. These non-Christian religious philosophies are not inherently racist, but have been exploited and embraced by white supremacists due to their symbolically strong image of “Aryan” life and Nordic heritage. Aryan prison gang members may also have another reason for declaring affiliation with Odinism and Asatru due to prison privileges — such as special dietary needs or extra time to worship — given to those inmates who claim membership in a religious group. Chip Berlet, a former senior analyst at Political Research Associates, points out that some white supremacists may be attracted to Nordic mythological religions as a result of their affinity toward Greek mythology, Celtic lore or interest in Nazi Germany, whose leaders celebrated Nordic myths and used Nordic symbolism for their image of heroic warriors during World War II. Neo-Nazi groups, such as the National Alliance and Volksfront, have used Norse symbolism, such as the life rune, in their group insignias and propaganda. Racist prison gangs have also been known to write letters and inscribe messages on tattoos using the runic alphabet. “These myths were the basis of Wagner’s “Ring” opera cycle, and influenced Hitler, who merged them with his distorted understanding of Nietzsche’s philosophy of the centrality of will and the concept of the Ubermensch, which Hitler turned into the idea of an Aryan ‘Master Race,’” says Berlet. The militia movement compares itself to the “Patriots” of the American Revolution in an attempt to “save” the ideals and original intent of the U.S. Constitution and return America to what they perceive to be the country’s Judeo-Christian roots. They have adopted some of the symbols associated with the American Revolution, such as using the term “Minutemen” in group names, hosting anti-tax events (much like the Boston Tea Party), celebrating April 19 — the anniversary date of the Battles of Lexington and Concord in 1775 — and using the Gadsden Minutemen flag with its revolutionary “Don’t Tread on Me” slogan. Many militia members have a deep respect and reverence for America’s founding fathers. Their admiration takes on religious overtones, believing the U.S. Constitution was “divinely inspired” and that the founding fathers were actually chosen and led by God to create the United States of America. For example, an Indiana Militia Corps’ citizenship recruitment pamphlet states, “The Christian faith was the anchor of the founding fathers of these United States.” The manual also states, “People of faith, Christians in particular, recognize that God is the source of all things, and that Rights come from God alone.” The militia movement erroneously believes that the principles the founding fathers used to create the U.S. Constitution are derived solely from the Bible. 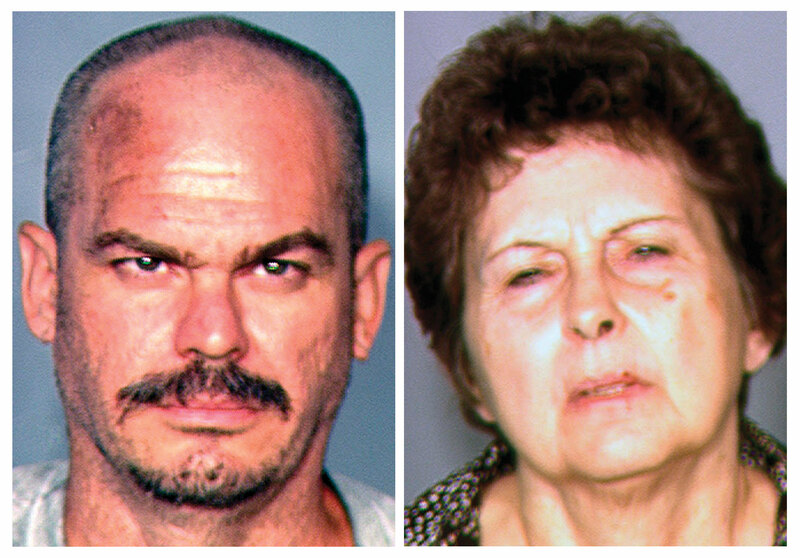 Nine members of the Hutaree militia were arrested in March 2010 for conspiring to attack police officers and blow up their funeral processions. Antigovernment conspiracy theories and apocalyptic “end times” Biblical prophecies are known to motivate militia members and groups to stockpile food, ammunition, and weapons. These apocalyptic teachings have also been linked with the radicalization of militia extremist members. 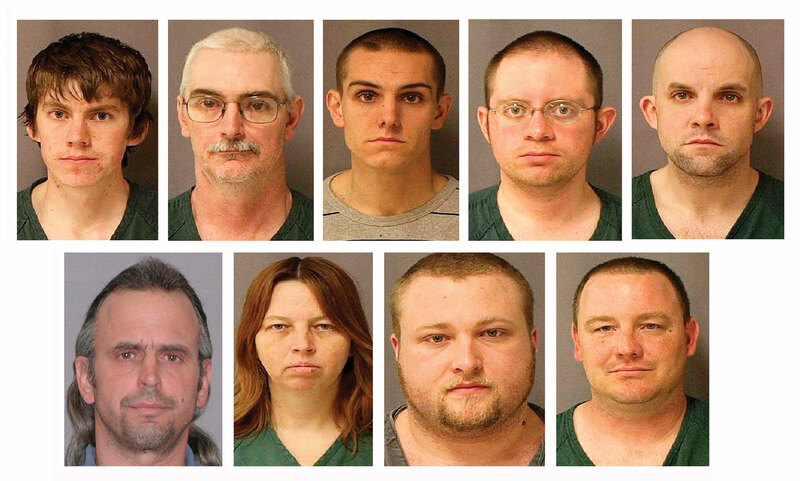 For example, nine members of the Hutaree militia in Lenawee County, Michigan, were arrested in March 2010 for conspiring to attack police officers and blow up their funeral processions. According to the Hutaree, its doctrine is “based on faith and most of all the testimony of Jesus.” Charges against all nine were eventually dismissed. On their website, the Hutaree referenced the story of the 10 virgins (Matthew 25: 1-12) as the basis for their existence. The verses declare, “The wise ones took enough oil to last the whole night, just in case the bridegroom was late. The foolish ones took not enough oil to last the whole night and figured that the bridegroom would arrive earlier than he did.” According to the Hutaree, the bridegrooms represented the Christian church today; the oil represented faith; and, those with enough faith could last through the darkest and most doubtful times, which Hutaree members believed were upon them. Further, militia members often reason that defending themselves, their families, and communities against the New World Order is a literal battle between good (i.e. God) and evil (i.e. Satan or the devil). The militia movement has historically both feared and anticipated a cataclysmic event that could lead to the collapse of the United States. Some militia members believe that such cataclysmic events are based in biblical prophecies. For example, some militia members believe that the so-called “Anti-Christ” in the last days predicted in the Book of Revelation is a world leader that unites all nations under a “one world government” before being exposed as the agent of Satan. They further believe that Jesus will battle the Anti-Christ before restoring his kingdom on earth. Militia members cite the creation of Communism, the establishment of the United Nations, and attacks against their Constitutional rights as “signs” or “evidence” that the Anti-Christ is actively working to create the “one world government” predicted in the Bible (e.g. Book of Revelation). Towards the end of the 1990s, many in the militia movement prepared for the turn of the millennium (e.g. Y2K) due to the impending belief that American society would collapse and result in anarchy and social chaos. The failure of the Y2K prophecy left many in the militia movement disillusioned and they left as a result. More recently, militia extremists have begun organizing armed protests outside of Islamic centers and mosques fearing a rise in Muslim terrorism, perceived encroachment of Sharia law in America and/or out of pure hatred of Muslims and Islam. Some militia extremists have also provided support to gun stores and firing ranges in Arkansas, Florida and Oklahoma that were declared “Muslim Free Zones” by their owners. These types of activities are meant to harass and intimidate an entire faith-based community. 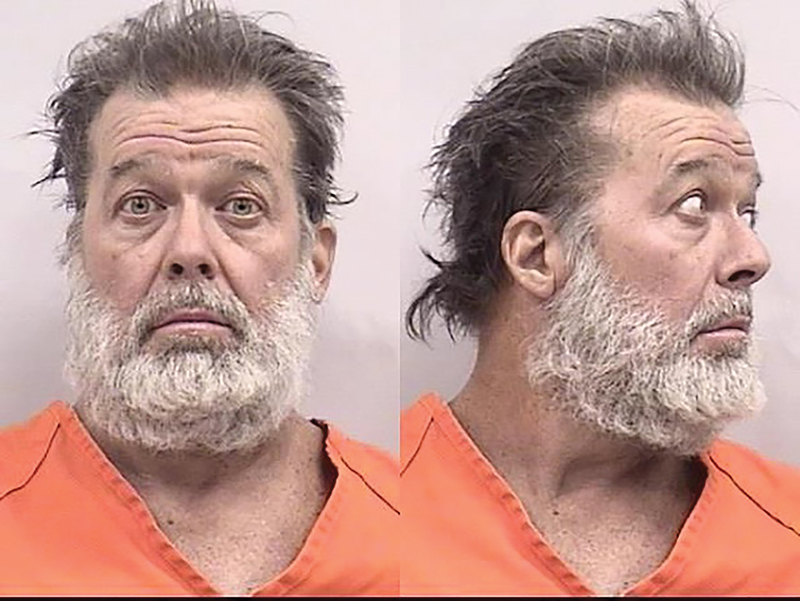 They are likely inspired by militia extremists’ personal religious views of preserving America as a Christian nation. Sovereign citizen extremists believe their doctrine is both inspired and sanctioned by God. Many have their own version of law that is derived from a combination of the Magna Carta, the Bible, English common law, and various 19th century state constitutions. Central to their argument is the view of a Supreme Being having endowed every person with certain inalienable rights as stated in the U.S. Declaration of Independence, the Bill of Rights, and the Bible. David Brutsche (L), 42, and Devon Newman, 67, were arrested for allegedly plotting to capture and kill a police officer. Authorities say they were part of the anti-government “sovereign citizen” movement. In particular, since there is a strong anti-tax component to the sovereign citizen movement, many adherents use Biblical passages to justify not paying income or property taxes to the government. They most often cite Old Testament scriptures, which reference paying usury and taking money from the poor, such as Ezekiel 22:12-13, Proverbs 28:8, Deuteronomy 23:19, and Leviticus 25:36-37. Sovereign citizen extremists further cite Nehemiah 9:32-37 to bolster the belief that oppressive taxation results from sin. Also, 1 Kings 12:13-19 is used to justify rebellion against the government for oppressive taxation. Sovereign citizen extremists have also been known to avoid paying taxes. They misuse a financial option called “corporation sole.” In general, sovereign citizen extremists misuse the corporation sole (e.g. forming a religious organization or claiming to be a religious figure such as a pastor or minister) tax exemption to avoid paying income and property taxes. They typically obtain a fake pastoral certification or minister certificate through a mail-order seminary or other bogus religious school. Then they change their residence to a “church.” Courts have routinely rejected this tax avoidance tactic as frivolous, upheld criminal tax evasion convictions against those making or promoting such arguments, and imposed civil penalties for falsely claiming corporation sole status. The majority of violent anti-abortion extremist ideology is based on Christian religious beliefs and use of Biblical scripture. A review of violent anti-abortion extremist propaganda online is filled with Biblical references to God and Jesus Christ. Many of the Biblical scriptures quoted in violent anti-abortion extremist propaganda focus on protecting children, fighting against evil doers, and standing up to iniquity or sin. The ultimate goal of anti-abortion extremists is to rid the country of the practice of abortion and those who perform and assist in its practice. They use religious and moral beliefs to justify violence against abortion providers, their staff, and facilities. Violent anti-abortion extremists believe that human life begins at conception. For this reason, some equate abortion to murder. Using this logic, they rationalize that those performing abortions are murdering other human beings. Anti-abortion extremists also equate the practice of abortion to a “silent holocaust.” Some anti-abortion extremists go as far as claiming abortion providers are actually “serial killers” and worthy of death. This sentiment is echoed in passages from the Army of God (AOG) manual in which they declare that the killing of abortion providers is morally acceptable and justified as doing God’s work. The AOG also utilizes religious symbolism in its name and logo. The AOG name literally compares its adherents to soldiers in battle with Satan. They are fighting a war with Jesus Christ at their side in an effort to save the unborn. The AOG logo also includes a white cross (e.g. symbolizing the crucifixion of Christ and his resurrection). The logo has a soldier’s helmet hanging off the cross with a bomb featuring a lit fuse inside a box. The words “The Army of God” are inscribed over and below the cross and bomb. The AOG also uses the symbol of a white rose; a reference to the White Rose Banquet, an annual anti-abortion extremist event organized by convicted abortion clinic arsonist Michael Bray. Religious concepts — such as Christian end times prophecy, millennialism and the belief that the Second Coming of Jesus Christ is imminent — play a vital role in the recruitment, radicalization and mobilization of violent right-wing extremists and their illegal activities in the United States. For example, white supremacists have adopted Christian concepts and Norse mythology into their extremist ideology, group rituals and calls for violence. Similarly, sovereign citizens use God and scriptural interpretation to justify breaking “man-made” laws, circumventing government regulation, avoiding taxation, and other criminal acts. Violent anti-abortion extremists have used Biblical references to create divine edicts from God and Jesus Christ to kill others and destroy property. And militia extremists and groups use religious concepts and scripture to defy the government, break laws, and stockpile food, ammunition and weapons to hasten or await the end of the world. As a result, religious concepts and scriptures have literally been hijacked by right-wing extremists, who twist religious doctrine and scriptures, to justify threats, criminal behavior and violent attacks. Religion and scriptural interpretations have played an essential role in armed confrontations between right-wing extremists and the U.S. government during the 1980s and 1990s (e.g. the Covenant, Sword, Arm of the Lord standoff in 1985, the siege at Ruby Ridge in 1992, and raid and standoff at Waco in 1993) as well as today (e.g. the 2014 Bunkerville standoff and the takeover of the Malheur Wildlife Refuge in 2016). These events not only demonstrate extremists rebelling against the U.S. government and its laws, but also served as declarations of their perceived divinely inspired and Constitutional rights. They also serve as radicalization and recruitment nodes to boost the ranks of white supremacists, militia extremists, sovereign citizens, and other radical anti-government adherents who view the government’s response to these standoffs as tyrannical and overreaching.